1Mac 11:1 And the king of Egypt gathered together a great host, like the sand that lieth upon the sea shore, and many ships, and went about through deceit to get Alexander's kingdom, and join it to his own. 1Mac 11:2 Whereupon he took his journey into Spain in peaceable manner, so as they of the cities opened unto him, and met him: for king Alexander had commanded them so to do, because he was his brother in law. 1Mac 11:3 Now as Ptolemee entered into the cities, he set in every one of them a garrison of soldiers to keep it. 1Mac 11:4 And when he came near to Azotus, they shewed him the temple of Dagon that was burnt, and Azotus and the suburbs thereof that were destroyed, and the bodies that were cast abroad and them that he had burnt in the battle; for they had made heaps of them by the way where he should pass. 1Mac 11:5 Also they told the king whatsoever Jonathan had done, to the intent he might blame him: but the king held his peace. 1Mac 11:6 Then Jonathan met the king with great pomp at Joppa, where they saluted one another, and lodged. 1Mac 11:7 Afterward Jonathan, when he had gone with the king to the river called Eleutherus, returned again to Jerusalem. 1Mac 11:8 King Ptolemee therefore, having gotten the dominion of the cities by the sea unto Seleucia upon the sea coast, imagined wicked counsels against Alexander. 1Mac 11:10 For I repent that I gave my daughter unto him, for he sought to slay me. 1Mac 11:11 Thus did he slander him, because he was desirous of his kingdom. 1Mac 11:12 Wherefore he took his daughter from him, and gave her to Demetrius, and forsook Alexander, so that their hatred was openly known. 1Mac 11:13 Then Ptolemee entered into Antioch, where he set two crowns upon his head, the crown of Asia, and of Egypt. 1Mac 11:14 In the mean season was king Alexander in Cilicia, because those that dwelt in those parts had revolted from him. 1Mac 11:15 But when Alexander heard of this, he came to war against him: whereupon king Ptolemee brought forth his host, and met him with a mighty power, and put him to flight. 1Mac 11:17 For Zabdiel the Arabian took off Alexander's head, and sent it unto Ptolemee. 1Mac 11:18 King Ptolemee also died the third day after, and they that were in the strong holds were slain one of another. 1Mac 11:19 By this means Demetrius reigned in the hundred threescore and seventh year. 1Mac 11:20 At the same time Jonathan gathered together them that were in Judea to take the tower that was in Jerusalem: and he made many engines of war against it. 1Mac 11:22 Whereof when he heard, he was angry, and immediately removing, he came to Ptolemais, and wrote unto Jonathan, that he should not lay siege to the tower, but come and speak with him at Ptolemais in great haste. 1Mac 11:24 And took silver and gold, and raiment, and divers presents besides, and went to Ptolemais unto the king, where he found favour in his sight. 1Mac 11:27 And confirmed him in the high priesthood, and in all the honours that he had before, and gave him preeminence among his chief friends. 1Mac 11:28 Then Jonathan desired the king, that he would make Judea free from tribute, as also the three governments, with the country of Samaria; and he promised him three hundred talents. 1Mac 11:31 We send you here a copy of the letter which we did write unto our cousin Lasthenes concerning you, that ye might see it. 1Mac 11:33 We are determined to do good to the people of the Jews, who are our friends, and keep covenants with us, because of their good will toward us. 1Mac 11:34 Wherefore we have ratified unto them the borders of Judea, with the three governments of Apherema and Lydda and Ramathem, that are added unto Judea from the country of Samaria, and all things appertaining unto them, for all such as do sacrifice in Jerusalem, instead of the payments which the king received of them yearly aforetime out of the fruits of the earth and of trees. 1Mac 11:35 And as for other things that belong unto us, of the tithes and customs pertaining unto us, as also the saltpits, and the crown taxes, which are due unto us, we discharge them of them all for their relief. 1Mac 11:36 And nothing hereof shall be revoked from this time forth for ever. 1Mac 11:37 Now therefore see that thou make a copy of these things, and let it be delivered unto Jonathan, and set upon the holy mount in a conspicuous place. 1Mac 11:38 After this, when king Demetrius saw that the land was quiet before him, and that no resistance was made against him, he sent away all his forces, every one to his own place, except certain bands of strangers, whom he had gathered from the isles of the heathen: wherefore all the forces of his fathers hated him. 1Mac 11:40 And lay sore upon him to deliver him this young Antiochus, that he might reign in his father's stead: he told him therefore all that Demetrius had done, and how his men of war were at enmity with him, and there he remained a long season. 1Mac 11:41 In the mean time Jonathan sent unto king Demetrius, that he would cast those of the tower out of Jerusalem, and those also in the fortresses: for they fought against Israel. 1Mac 11:42 So Demetrius sent unto Jonathan, saying, I will not only do this for thee and thy people, but I will greatly honour thee and thy nation, if opportunity serve. 1Mac 11:43 Now therefore thou shalt do well, if thou send me men to help me; for all my forces are gone from me. 1Mac 11:44 Upon this Jonathan sent him three thousand strong men unto Antioch: and when they came to the king, the king was very glad of their coming. 1Mac 11:45 Howbeit they that were of the city gathered themselves together into the midst of the city, to the number of an hundred and twenty thousand men, and would have slain the king. 1Mac 11:46 Wherefore the king fled into the court, but they of the city kept the passages of the city, and began to fight. 1Mac 11:47 Then the king called to the Jews for help, who came unto him all at once, and dispersing themselves through the city slew that day in the city to the number of an hundred thousand. 1Mac 11:48 Also they set fire on the city, and gat many spoils that day, and delivered the king. 1Mac 11:50 Grant us peace, and let the Jews cease from assaulting us and the city. 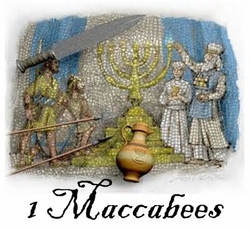 1Mac 11:51 With that they cast away their weapons, and made peace; and the Jews were honoured in the sight of the king, and in the sight of all that were in his realm; and they returned to Jerusalem, having great spoils. 1Mac 11:52 So king Demetrius sat on the throne of his kingdom, and the land was quiet before him. 1Mac 11:53 Nevertheless he dissembled in all that ever he spake, and estranged himself from Jonathan, neither rewarded he him according to the benefits which he had received of him, but troubled him very sore. 1Mac 11:54 After this returned Tryphon, and with him the young child Antiochus, who reigned, and was crowned. 1Mac 11:55 Then there gathered unto him all the men of war, whom Demetrius had put away, and they fought against Demetrius, who turned his back and fled. 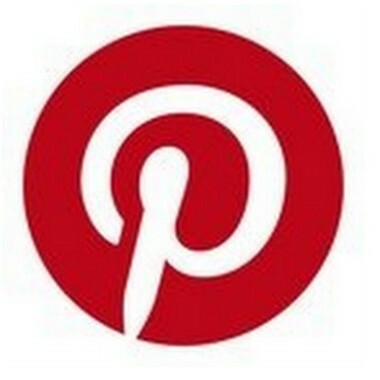 1Mac 11:56 Moreover Tryphon took the elephants, and won Antioch. 1Mac 11:57 At that time young Antiochus wrote unto Jonathan, saying, I confirm thee in the high priesthood, and appoint thee ruler over the four governments, and to be one of the king's friends. 1Mac 11:58 Upon this he sent him golden vessels to be served in, and gave him leave to drink in gold, and to be clothed in purple, and to wear a golden buckle. 1Mac 11:59 His brother Simon also he made captain from the place called The ladder of Tyrus unto the borders of Egypt. 1Mac 11:60 Then Jonathan went forth, and passed through the cities beyond the water, and all the forces of Syria gathered themselves unto him for to help him: and when he came to Ascalon, they of the city met him honourably. 1Mac 11:61 From whence he went to Gaza, but they of Gaza shut him out; wherefore he laid siege unto it, and burned the suburbs thereof with fire, and spoiled them. 1Mac 11:62 Afterward, when they of Gaza made supplication unto Jonathan, he made peace with them, and took the sons of their chief men for hostages, and sent them to Jerusalem, and passed through the country unto Damascus. 1Mac 11:64 He went to meet them, and left Simon his brother in the country. 1Mac 11:66 But they desired to have peace with him, which he granted them, and then put them out from thence, and took the city, and set a garrison in it. 1Mac 11:67 As for Jonathan and his host, they pitched at the water of Gennesar, from whence betimes in the morning they gat them to the plain of Nasor. 1Mac 11:68 And, behold, the host of strangers met them in the plain, who, having laid men in ambush for him in the mountains, came themselves over against him. 1Mac 11:70 Insomuch as there was not one of them left, except Mattathias the son of Absalom, and Judas the son of Calphi, the captains of the host. 1Mac 11:71 Then Jonathan rent his clothes, and cast earth upon his head, and prayed. 1Mac 11:72 Afterwards turning again to battle, he put them to flight, and so they ran away. 1Mac 11:73 Now when his own men that were fled saw this, they turned again unto him, and with him pursued them to Cades, even unto their own tents, and there they camped. 1Mac 11:74 So there were slain of the heathen that day about three thousand men: but Jonathan returned to Jerusalem. 1Mac 12:1 Now when Jonathan saw that time served him, he chose certain men, and sent them to Rome, for to confirm and renew the friendship that they had with them. 1Mac 12:2 He sent letters also to the Lacedemonians, and to other places, for the same purpose. 1Mac 12:3 So they went unto Rome, and entered into the senate, and said, Jonathan the high priest, and the people of the Jews, sent us unto you, to the end ye should renew the friendship, which ye had with them, and league, as in former time. 1Mac 12:4 Upon this the Romans gave them letters unto the governors of every place that they should bring them into the land of Judea peaceably. 1Mac 12:7 There were letters sent in times past unto Onias the high priest from Darius, who reigned then among you, to signify that ye are our brethren, as the copy here underwritten doth specify. 1Mac 12:8 At which time Onias entreated the ambassador that was sent honourably, and received the letters, wherein declaration was made of the league and friendship. 1Mac 12:10 Have nevertheless attempted to send unto you for the renewing of brotherhood and friendship, lest we should become strangers unto you altogether: for there is a long time passed since ye sent unto us. 1Mac 12:12 And we are right glad of your honour. 1Mac 12:13 As for ourselves, we have had great troubles and wars on every side, forsomuch as the kings that are round about us have fought against us. 1Mac 12:15 For we have help from heaven that succoureth us, so as we are delivered from our enemies, and our enemies are brought under foot. 1Mac 12:16 For this cause we chose Numenius the son of Antiochus, and Antipater he son of Jason, and sent them unto the Romans, to renew the amity that we had with them, and the former league. 1Mac 12:17 We commanded them also to go unto you, and to salute and to deliver you our letters concerning the renewing of our brotherhood. 1Mac 12:18 Wherefore now ye shall do well to give us an answer thereto. 1Mac 12:19 And this is the copy of the letters which Oniares sent. 1Mac 12:22 Now therefore, since this is come to our knowledge, ye shall do well to write unto us of your prosperity. 1Mac 12:23 We do write back again to you, that your cattle and goods are our's, and our's are your's We do command therefore our ambassadors to make report unto you on this wise. 1Mac 12:25 He removed from Jerusalem, and met them in the land of Amathis: for he gave them no respite to enter his country. 1Mac 12:26 He sent spies also unto their tents, who came again, and told him that they were appointed to come upon them in the night season. 1Mac 12:27 Wherefore so soon as the sun was down, Jonathan commanded his men to watch, and to be in arms, that all the night long they might be ready to fight: also he sent forth centinels round about the host. 1Mac 12:28 But when the adversaries heard that Jonathan and his men were ready for battle, they feared, and trembled in their hearts, and they kindled fires in their camp. 1Mac 12:29 Howbeit Jonathan and his company knew it not till the morning: for they saw the lights burning. 1Mac 12:30 Then Jonathan pursued after them, but overtook them not: for they were gone over the river Eleutherus. 1Mac 12:31 Wherefore Jonathan turned to the Arabians, who were called Zabadeans, and smote them, and took their spoils. 1Mac 12:33 Simon also went forth, and passed through the country unto Ascalon, and the holds there adjoining, from whence he turned aside to Joppa, and won it. 1Mac 12:34 For he had heard that they would deliver the hold unto them that took Demetrius' part; wherefore he set a garrison there to keep it. 1Mac 12:36 And making the walls of Jerusalem higher, and raising a great mount between the tower and the city, for to separate it from the city, that so it might be alone, that men might neither sell nor buy in it. 1Mac 12:37 Upon this they came together to build up the city, forasmuch as part of the wall toward the brook on the east side was fallen down, and they repaired that which was called Caphenatha. 1Mac 12:38 Simon also set up Adida in Sephela, and made it strong with gates and bars. 1Mac 12:39 Now Tryphon went about to get the kingdom of Asia, and to kill Antiochus the king, that he might set the crown upon his own head. 1Mac 12:40 Howbeit he was afraid that Jonathan would not suffer him, and that he would fight against him; wherefore he sought a way how to take Jonathan, that he might kill him. So he removed, and came to Bethsan. 1Mac 12:41 Then Jonathan went out to meet him with forty thousand men chosen for the battle, and came to Bethsan. 1Mac 12:43 But received him honourably, and commended him unto all his friends, and gave him gifts, and commanded his men of war to be as obedient unto him, as to himself. 1Mac 12:44 Unto Jonathan also he said, Why hast thou brought all this people to so great trouble, seeing there is no war betwixt us? 1Mac 12:45 Therefore send them now home again, and choose a few men to wait on thee, and come thou with me to Ptolemais, for I will give it thee, and the rest of the strong holds and forces, and all that have any charge: as for me, I will return and depart: for this is the cause of my coming. 1Mac 12:46 So Jonathan believing him did as he bade him, and sent away his host, who went into the land of Judea. 1Mac 12:47 And with himself he retained but three thousand men, of whom he sent two thousand into Galilee, and one thousand went with him. 1Mac 12:48 Now as soon as Jonathan entered into Ptolemais, they of Ptolemais shut the gates and took him, and all them that came with him they slew with the sword. 1Mac 12:49 Then sent Tryphon an host of footmen and horsemen into Galilee, and into the great plain, to destroy all Jonathan's company. 1Mac 12:50 But when they knew that Jonathan and they that were with him were taken and slain, they encouraged one another; and went close together, prepared to fight. 1Mac 12:51 They therefore that followed upon them, perceiving that they were ready to fight for their lives, turned back again. 1Mac 12:52 Whereupon they all came into the land of Judea peaceably, and there they bewailed Jonathan, and them that were with him, and they were sore afraid; wherefore all Israel made great lamentation. 1Mac 12:53 Then all the heathen that were round about then sought to destroy them: for said they, They have no captain, nor any to help them: now therefore let us make war upon them, and take away their memorial from among men. 1Mac 13:3 And gave them exhortation, saying, Ye yourselves know what great things I, and my brethren, and my father's house, have done for the laws and the sanctuary, the battles also and troubles which we have seen. 1Mac 13:4 By reason whereof all my brethren are slain for Israel's sake, and I am left alone. 1Mac 13:5 Now therefore be it far from me, that I should spare mine own life in any time of trouble: for I am no better than my brethren. 1Mac 13:6 Doubtless I will avenge my nation, and the sanctuary, and our wives, and our children: for all the heathen are gathered to destroy us of very malice. 1Mac 13:7 Now as soon as the people heard these words, their spirit revived. 1Mac 13:8 And they answered with a loud voice, saying, Thou shalt be our leader instead of Judas and Jonathan thy brother. 1Mac 13:9 Fight thou our battles, and whatsoever, thou commandest us, that will we do. 1Mac 13:10 So then he gathered together all the men of war, and made haste to finish the walls of Jerusalem, and he fortified it round about. 1Mac 13:11 Also he sent Jonathan the son of Absolom, and with him a great power, to Joppa: who casting out them that were therein remained there in it. 1Mac 13:12 So Tryphon removed from Ptolemaus with a great power to invade the land of Judea, and Jonathan was with him in ward. 1Mac 13:13 But Simon pitched his tents at Adida, over against the plain. 1Mac 13:15 Whereas we have Jonathan thy brother in hold, it is for money that he is owing unto the king's treasure, concerning the business that was committed unto him. 1Mac 13:16 Wherefore now send an hundred talents of silver, and two of his sons for hostages, that when he is at liberty he may not revolt from us, and we will let him go. 1Mac 13:18 Who might have said, Because I sent him not the money and the children, therefore is Jonathan dead. 1Mac 13:19 So he sent them the children and the hundred talents: howbeit Tryphon dissembled neither would he let Jonathan go. 1Mac 13:20 And after this came Tryphon to invade the land, and destroy it, going round about by the way that leadeth unto Adora: but Simon and his host marched against him in every place, wheresoever he went. 1Mac 13:21 Now they that were in the tower sent messengers unto Tryphon, to the end that he should hasten his coming unto them by the wilderness, and send them victuals. 1Mac 13:22 Wherefore Tryphon made ready all his horsemen to come that night: but there fell a very great snow, by reason whereof he came not. So he departed, and came into the country of Galaad. 1Mac 13:23 And when he came near to Bascama he slew Jonathan, who was buried there. 1Mac 13:24 Afterward Tryphon returned and went into his own land. 1Mac 13:25 Then sent Simon, and took the bones of Jonathan his brother, and buried them in Modin, the city of his fathers. 1Mac 13:26 And all Israel made great lamentation for him, and bewailed him many days. 1Mac 13:27 Simon also built a monument upon the sepulchre of his father and his brethren, and raised it aloft to the sight, with hewn stone behind and before. 1Mac 13:28 Moreover he set up seven pyramids, one against another, for his father, and his mother, and his four brethren. 1Mac 13:29 And in these he made cunning devices, about the which he set great pillars, and upon the pillars he made all their armour for a perpetual memory, and by the armour ships carved, that they might be seen of all that sail on the sea. 1Mac 13:30 This is the sepulchre which he made at Modin, and it standeth yet unto this day. 1Mac 13:31 Now Tryphon dealt deceitfully with the young king Antiochus, and slew him. 1Mac 13:32 And he reigned in his stead, and crowned himself king of Asia, and brought a great calamity upon the land. 1Mac 13:33 Then Simon built up the strong holds in Judea, and fenced them about with high towers, and great walls, and gates, and bars, and laid up victuals therein. 1Mac 13:34 Moreover Simon chose men, and sent to king Demetrius, to the end he should give the land an immunity, because all that Tryphon did was to spoil. 1Mac 13:37 The golden crown, and the scarlet robe, which ye sent unto us, we have received: and we are ready to make a stedfast peace with you, yea, and to write unto our officers, to confirm the immunities which we have granted. 1Mac 13:38 And whatsoever covenants we have made with you shall stand; and the strong holds, which ye have builded, shall be your own. 1Mac 13:39 As for any oversight or fault committed unto this day, we forgive it, and the crown tax also, which ye owe us: and if there were any other tribute paid in Jerusalem, it shall no more be paid. 1Mac 13:40 And look who are meet among you to be in our court, let then be enrolled, and let there be peace betwixt us. 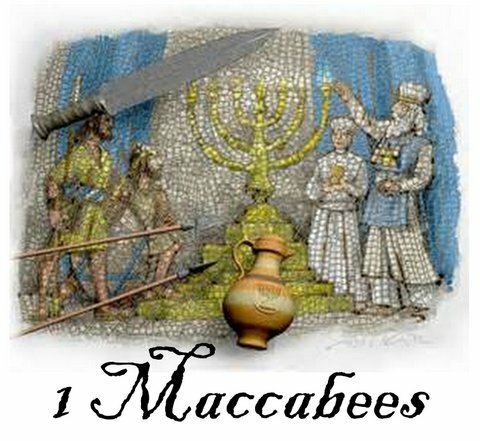 1Mac 13:41 Thus the yoke of the heathen was taken away from Israel in the hundred and seventieth year. 1Mac 13:42 Then the people of Israel began to write in their instruments and contracts, In the first year of Simon the high priest, the governor and leader of the Jews. 1Mac 13:43 In those days Simon camped against Gaza and besieged it round about; he made also an engine of war, and set it by the city, and battered a certain tower, and took it. 1Mac 13:45 Insomuch as the people of the city rent their clothes, and climbed upon the walls with their wives and children, and cried with a loud voice, beseeching Simon to grant them peace. 1Mac 13:46 And they said, Deal not with us according to our wickedness, but according to thy mercy. 1Mac 13:47 So Simon was appeased toward them, and fought no more against them, but put them out of the city, and cleansed the houses wherein the idols were, and so entered into it with songs and thanksgiving. 1Mac 13:48 Yea, he put all uncleanness out of it, and placed such men there as would keep the law, and made it stronger than it was before, and built therein a dwellingplace for himself. 1Mac 13:49 They also of the tower in Jerusalem were kept so strait, that they could neither come forth, nor go into the country, nor buy, nor sell: wherefore they were in great distress for want of victuals, and a great number of them perished through famine. 1Mac 13:51 And entered into it the three and twentieth day of the second month in the hundred seventy and first year, with thanksgiving, and branches of palm trees, and with harps, and cymbals, and with viols, and hymns, and songs: because there was destroyed a great enemy out of Israel. 1Mac 13:52 He ordained also that that day should be kept every year with gladness. Moreover the hill of the temple that was by the tower he made stronger than it was, and there he dwelt himself with his company. 1Mac 13:53 And when Simon saw that John his son was a valiant man, he made him captain of all the hosts; and he dwelt in Gazera. 1Mac 14:1 Now in the hundred threescore and twelfth year king Demetrius gathered his forces together, and went into Media to get him help to fight against Tryphone. 1Mac 14:3 Who went and smote the host of Demetrius, and took him, and brought him to Arsaces, by whom he was put in ward. 1Mac 14:4 As for the land of Judea, that was quiet all the days of Simon; for he sought the good of his nation in such wise, as that evermore his authority and honour pleased them well. 1Mac 14:7 And gathered together a great number of captives, and had the dominion of Gazera, and Bethsura, and the tower, out of the which he took all uncleaness, neither was there any that resisted him. 1Mac 14:8 Then did they till their ground in peace, and the earth gave her increase, and the trees of the field their fruit. 1Mac 14:9 The ancient men sat all in the streets, communing together of good things, and the young men put on glorious and warlike apparel. 1Mac 14:10 He provided victuals for the cities, and set in them all manner of munition, so that his honourable name was renowned unto the end of the world. 1Mac 14:13 Neither was there any left in the land to fight against them: yea, the kings themselves were overthrown in those days. 1Mac 14:14 Moreover he strengthened all those of his people that were brought low: the law he searched out; and every contemner of the law and wicked person he took away. 1Mac 14:15 He beautified the sanctuary, and multiplied vessels of the temple. 1Mac 14:16 Now when it was heard at Rome, and as far as Sparta, that Jonathan was dead, they were very sorry. 1Mac 14:19 Which writings were read before the congregation at Jerusalem. 1Mac 14:22 And did register the things that they spake in the council of the people in this manner; Numenius son of Antiochus, and Antipater son of Jason, the Jews' ambassadors, came unto us to renew the friendship they had with us. 1Mac 14:23 And it pleased the people to entertain the men honourably, and to put the copy of their ambassage in publick records, to the end the people of the Lacedemonians might have a memorial thereof: furthermore we have written a copy thereof unto Simon the high priest. 1Mac 14:24 After this Simon sent Numenius to Rome with a great shield of gold of a thousand pound weight to confirm the league with them. 1Mac 14:25 Whereof when the people heard, they said, What thanks shall we give to Simon and his sons? 1Mac 14:26 For he and his brethren and the house of his father have established Israel, and chased away in fight their enemies from them, and confirmed their liberty. 1Mac 14:28 At Saramel in the great congregation of the priests, and people, and rulers of the nation, and elders of the country, were these things notified unto us. 1Mac 14:35 The people therefore sang the acts of Simon, and unto what glory he thought to bring his nation, made him their governor and chief priest, because he had done all these things, and for the justice and faith which he kept to his nation, and for that he sought by all means to exalt his people. 1Mac 14:37 But he placed Jews therein. and fortified it for the safety of the country and the city, and raised up the walls of Jerusalem. 1Mac 14:39 And made him one of his friends, and honoured him with great honour. 1Mac 14:45 And whosoever should do otherwise, or break any of these things, he should be punished. 1Mac 14:46 Thus it liked all the people to deal with Simon, and to do as hath been said. 1Mac 14:47 Then Simon accepted hereof, and was well pleased to be high priest, and captain and governor of the Jews and priests, and to defend them all. 1Mac 14:49 Also that the copies thereof should be laid up in the treasury, to the end that Simon and his sons might have them. 1Mac 15:41 And when he had built up Cedrou, he set horsemen there, and an host of footmen, to the end that issuing out they might make outroads upon the ways of Judea, as the king had commanded him. 1Mac 16:1 Then came up John from Gazera, and told Simon his father what Cendebeus had done. 1Mac 16:2 Wherefore Simon called his two eldest sons, Judas and John, and said unto them, I, and my brethren, and my father's house, have ever from my youth unto this day fought against the enemies of Israel; and things have prospered so well in our hands, that we have delivered Israel oftentimes. 1Mac 16:3 But now I am old, and ye, by God's mercy, are of a sufficient age: be ye instead of me and my brother, and go and fight for our nation, and the help from heaven be with you. 1Mac 16:4 So he chose out of the country twenty thousand men of war with horsemen, who went out against Cendebeus, and rested that night at Modin. 1Mac 16:5 And when as they rose in the morning, and went into the plain, behold, a mighty great host both of footmen and horsemen came against them: howbeit there was a water brook betwixt them. 1Mac 16:6 So he and his people pitched over against them: and when he saw that the people were afraid to go over the water brook, he went first over himself, and then the men seeing him passed through after him. 1Mac 16:7 That done, he divided his men, and set the horsemen in the midst of the footmen: for the enemies' horsemen were very many. 1Mac 16:8 Then sounded they with the holy trumpets: whereupon Cendebeus and his host were put to flight, so that many of them were slain, and the remnant gat them to the strong hold. 1Mac 16:9 At that time was Judas John's brother wounded; but John still followed after them, until he came to Cedron, which Cendebeus had built. 1Mac 16:10 So they fled even unto the towers in the fields of Azotus; wherefore he burned it with fire: so that there were slain of them about two thousand men. Afterward he returned into the land of Judea in peace. 1Mac 16:12 For he was the high priest's son in law. 1Mac 16:13 Wherefore his heart being lifted up, he thought to get the country to himself, and thereupon consulted deceitfully against Simon and his sons to destroy them. 1Mac 16:15 Where the son of Abubus receiving them deceitfully into a little hold, called Docus, which he had built, made them a great banquet: howbeit he had hid men there. 1Mac 16:16 So when Simon and his sons had drunk largely, Ptolemee and his men rose up, and took their weapons, and came upon Simon into the banqueting place, and slew him, and his two sons, and certain of his servants. 1Mac 16:17 In which doing he committed a great treachery, and recompensed evil for good. 1Mac 16:18 Then Ptolemee wrote these things, and sent to the king, that he should send him an host to aid him, and he would deliver him the country and cities. 1Mac 16:19 He sent others also to Gazera to kill John: and unto the tribunes he sent letters to come unto him, that he might give them silver, and gold, and rewards. 1Mac 16:20 And others he sent to take Jerusalem, and the mountain of the temple. 1Mac 16:21 Now one had run afore to Gazera and told John that his father and brethren were slain, and, quoth he, Ptolemee hath sent to slay thee also. 1Mac 16:22 Hereof when he heard, he was sore astonished: so he laid hands on them that were come to destroy him, and slew them; for he knew that they sought to make him away. 1Mac 16:24 Behold, these are written in the chronicles of his priesthood, from the time he was made high priest after his father.